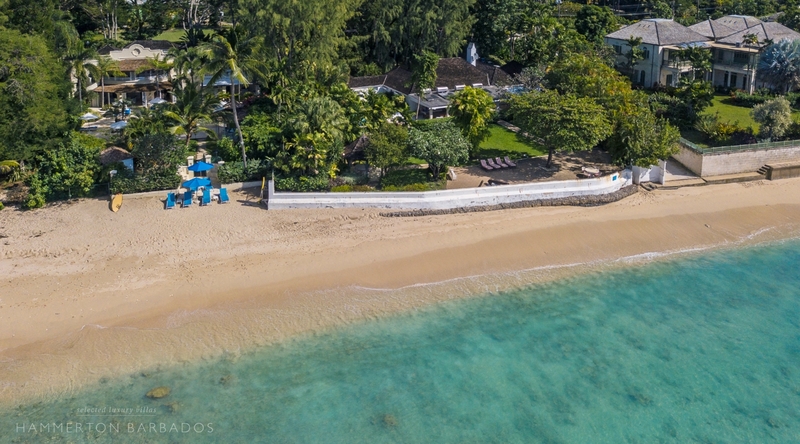 A lovely beachfront villa on the beautiful Gibbs beach. 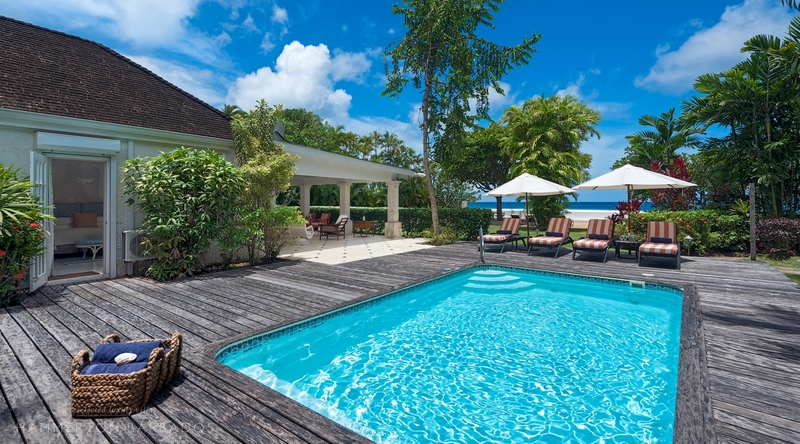 Plenty of space and lovely gardens that overlook the beach, for a perfect family holiday. 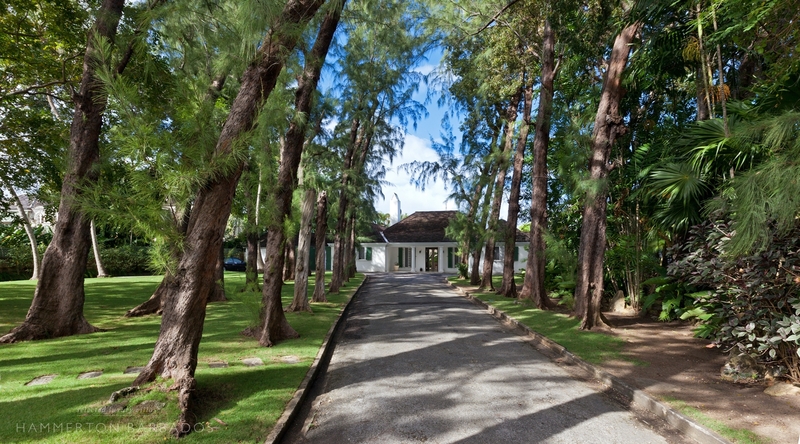 Situated at the end of a shady semi-circular driveway, High Trees offers guests a comfortable and relaxed Barbados holiday experience. 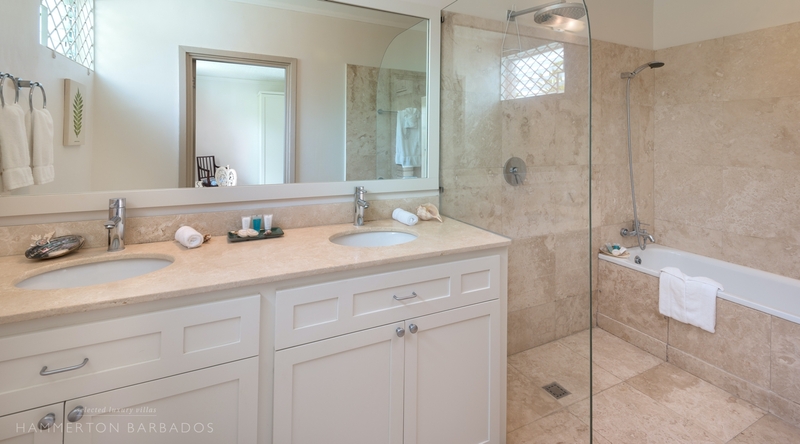 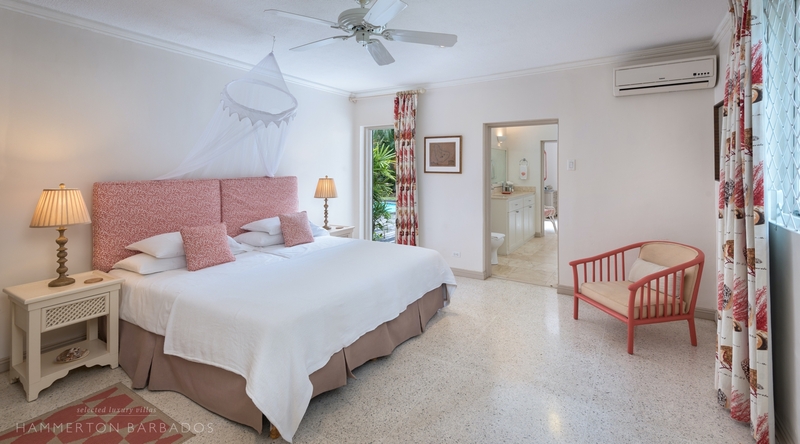 The villa has been recently renovated, and features traditional terrazzo floors, warm muted décor, with touches of colour to enhance its Caribbean flavour! 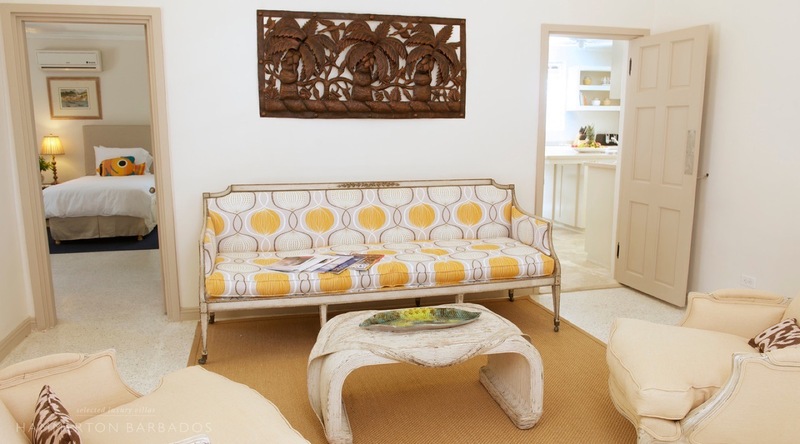 Located at the centre of the villa, the entrance hall serves as the inside sitting area. 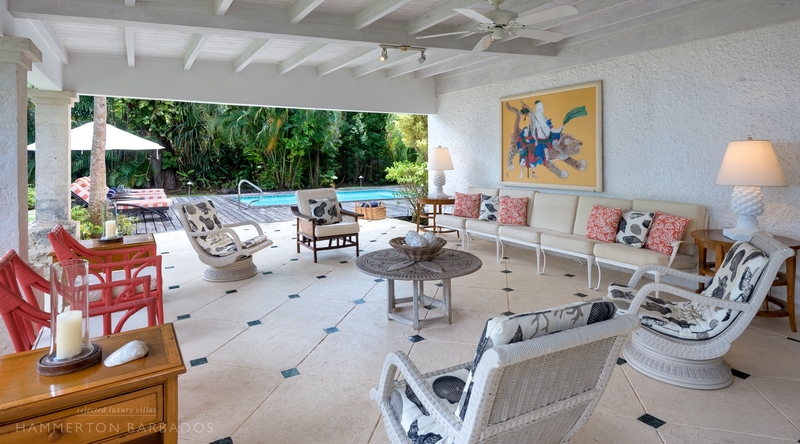 Wide French doors lead on to the covered patio where guests can relax with a cool Caribbean drink, or dine alfresco. 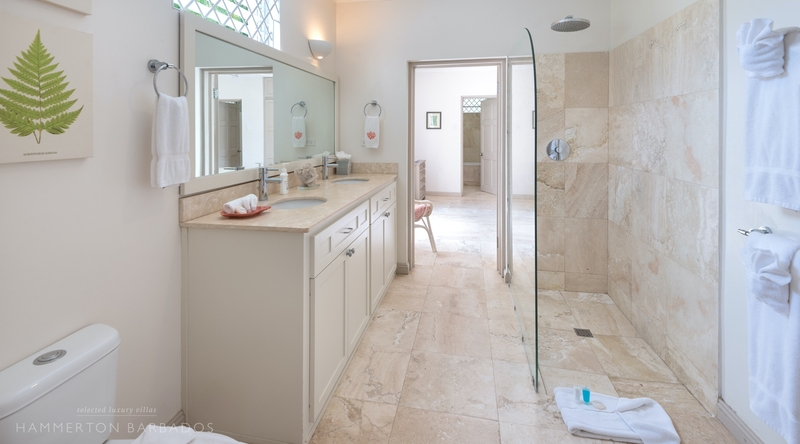 The airy kitchen is located to the left of the entrance, and also has French doors leading on to the outdoor terrace. 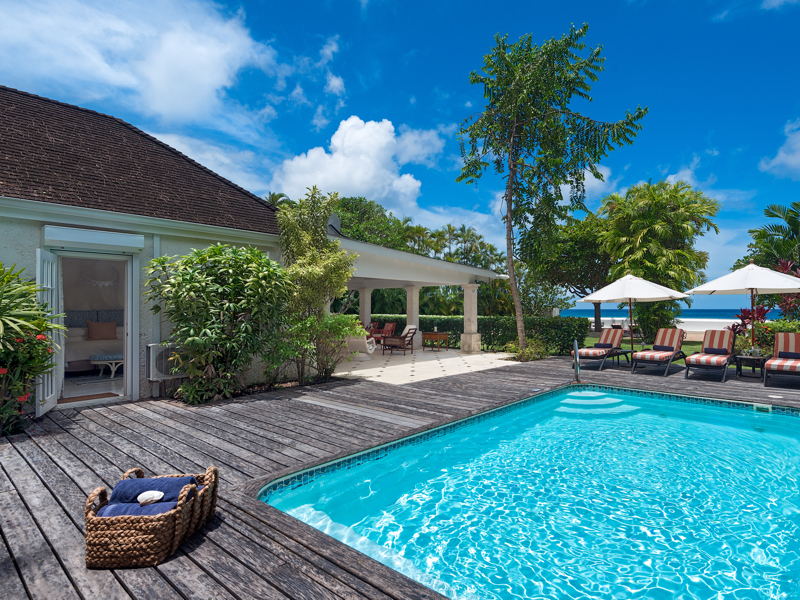 It is just steps to the large wooden deck surrounding the pool, where guests can enjoy comfortable lounge chairs. 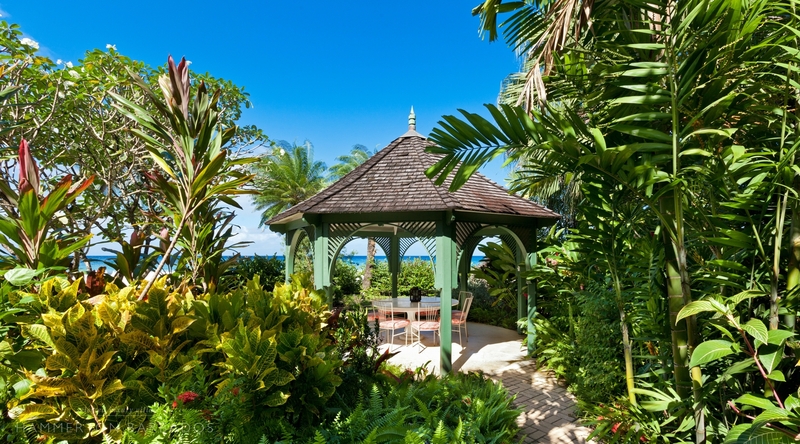 A pathway leads from the patio, through the lovely gardens, to a second deck area at the beach edge. 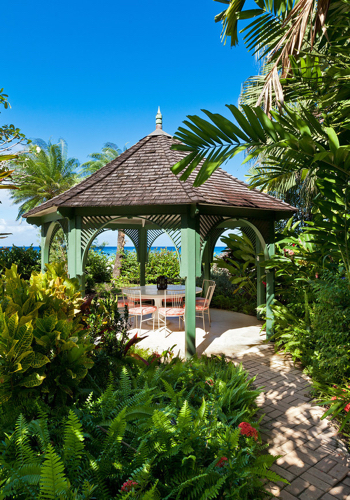 The beach deck features a small gazebo, and outdoor dining, at the same time enjoying the privacy offered by the low sea wall. 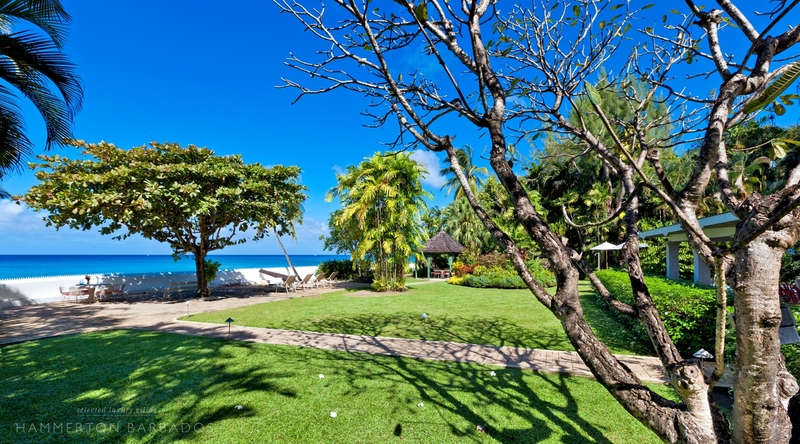 For your convenience there are two gates that offer you direct access to the beach. 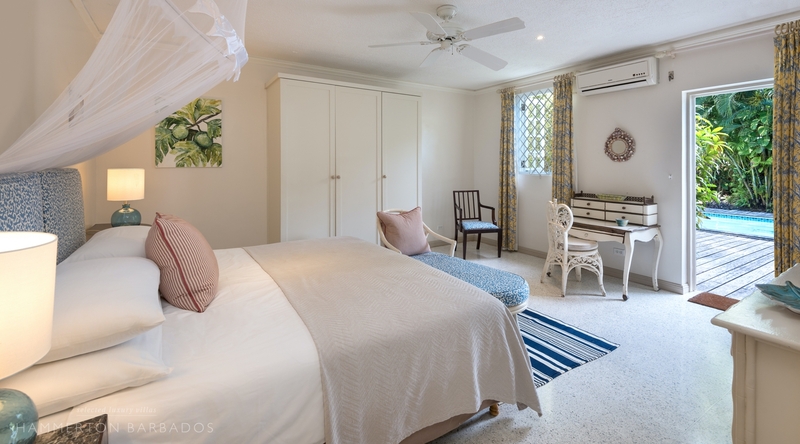 The bedrooms are all air-conditioned and have en-suite bathrooms. 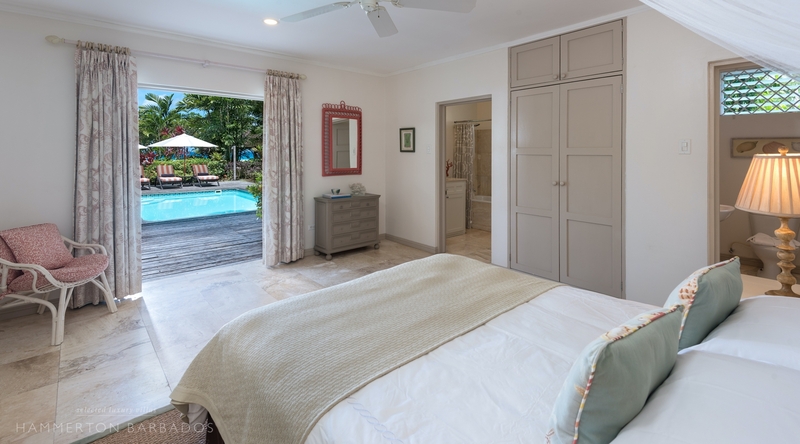 The master bedroom features a "wet room" in its en-suite bathroom as well as direct access to the pool deck. 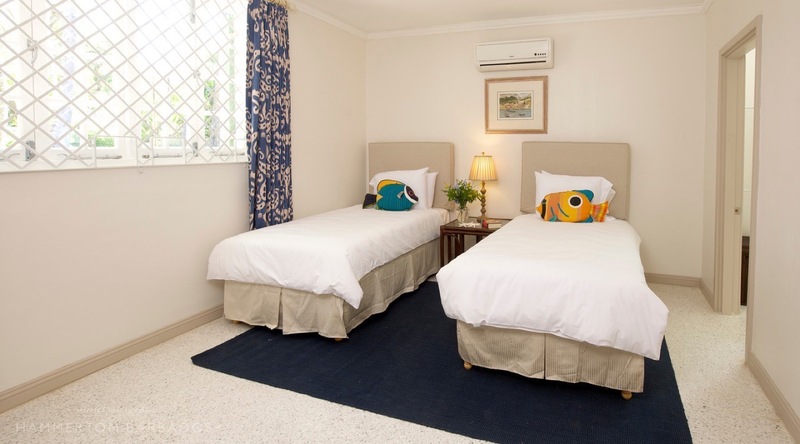 Bedrooms 2 and 3 also have direct access to the pool deck, as well as connecting via the bathroom – a great option for parents and children. 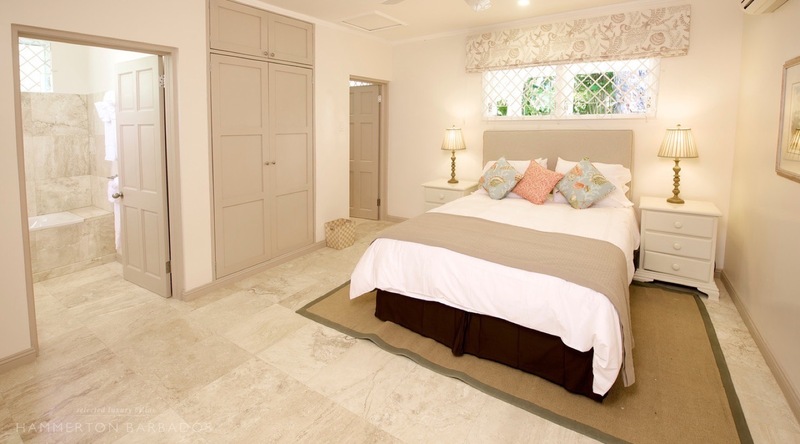 Bedroom 4 is located to the left of the entrance hall. 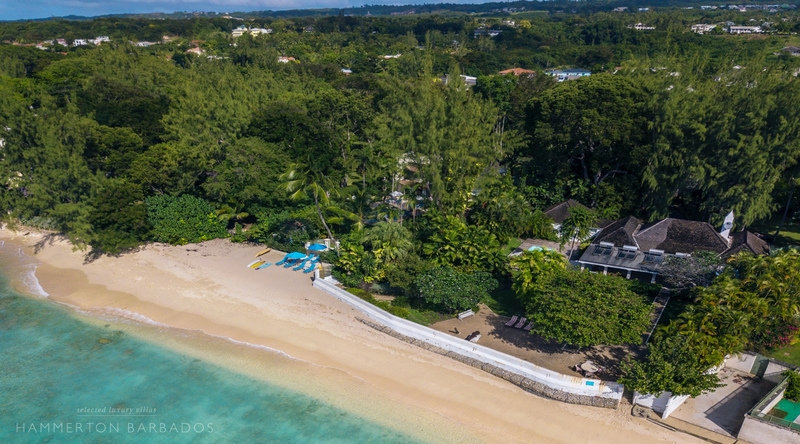 High Trees is located on the well-known Gibbs Beach, on the west coast of Barbados. 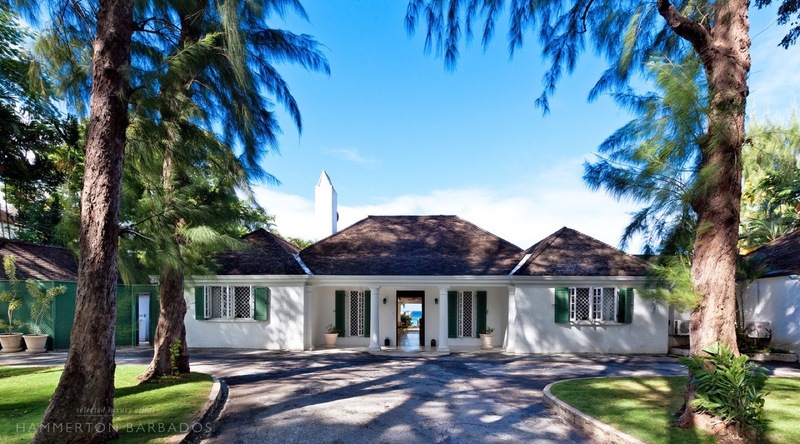 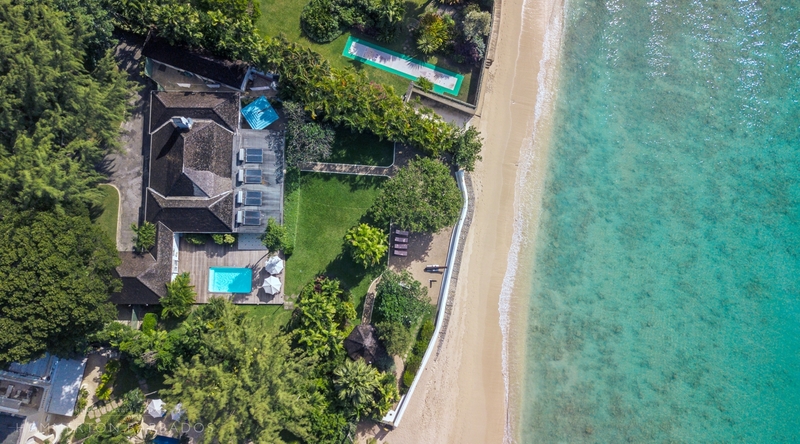 The villa is within walking distance to Mullins Beach, and is just a 5 minute drive to Speightstown, where guests can enjoy shopping and casual dining options. 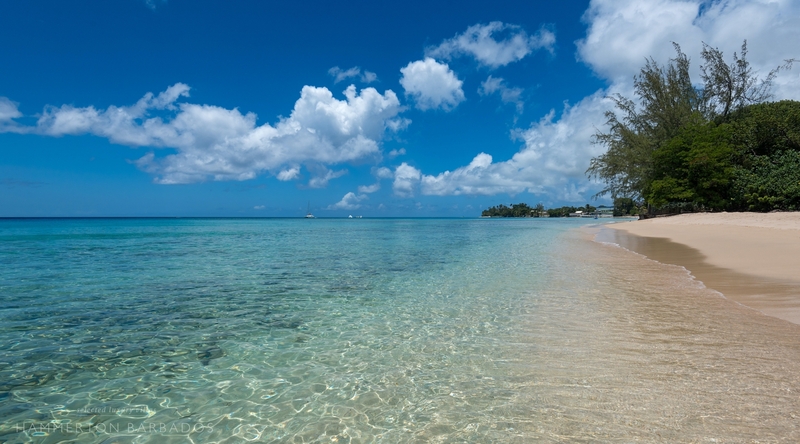 Holetown is a 15 minute drive away. 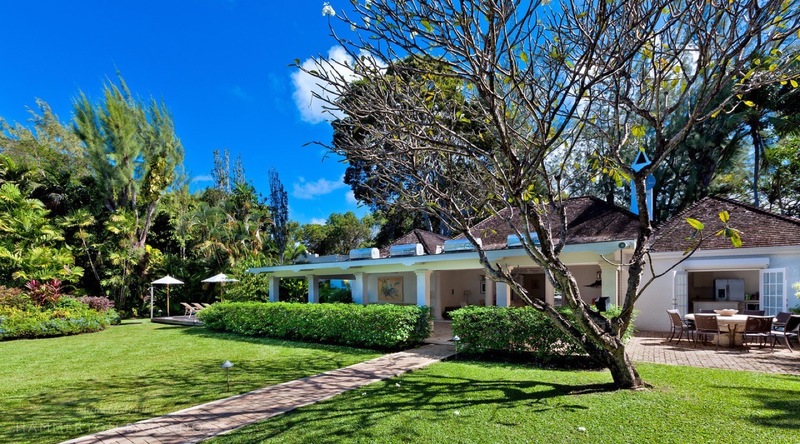 This holiday rental villa is an excellent choice for families or groups of friends wishing to enjoy a relaxing Barbados holiday. 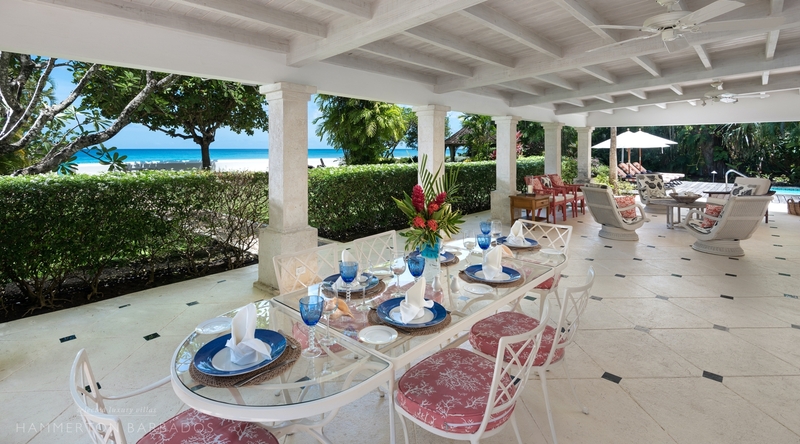 Cook – Prepares three meals per day. 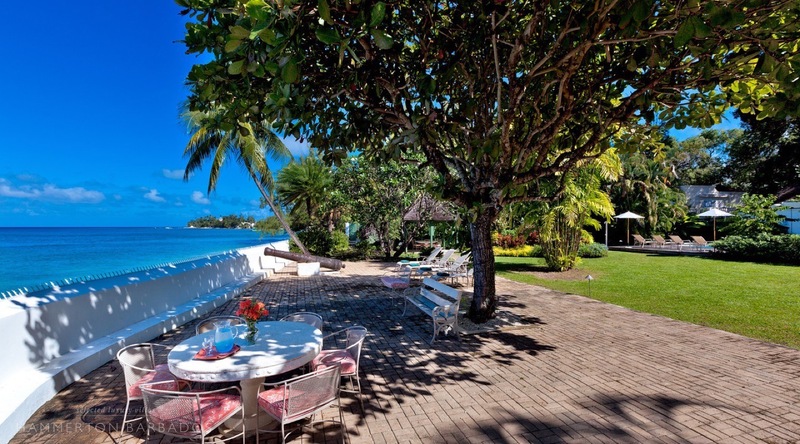 Breakfast, lunch and dinner. 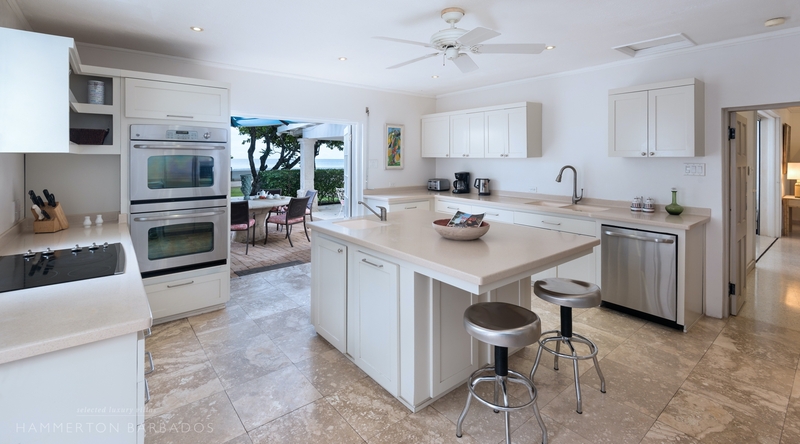 The Cook is off on Fridays.